Beauty school student dressed in a motorcycle jacket, layered tops, zebra print pants, lace-up shoes and a furry sling bag while out on the Harajuku street. Pink-haired Japanese teen in vintage silver jacket over maxi skirt, black lace top, and iconic silver Margiela split toe boots. Model on the streets of Harajuku wearing fashion by One Spo, Dearest Crown, Shingo Kuzuno, and Vivienne Westwood. Japanese idol in Harajuku sporting mixed prints, strap pants, rocking horse platforms and a cat print tote bag. 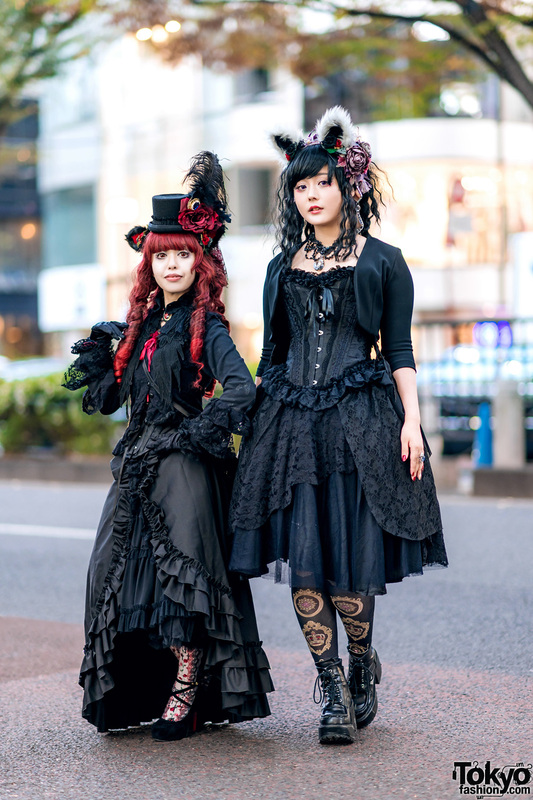 Harajuku girls in black streetwear fashion styles while out and about on the street. 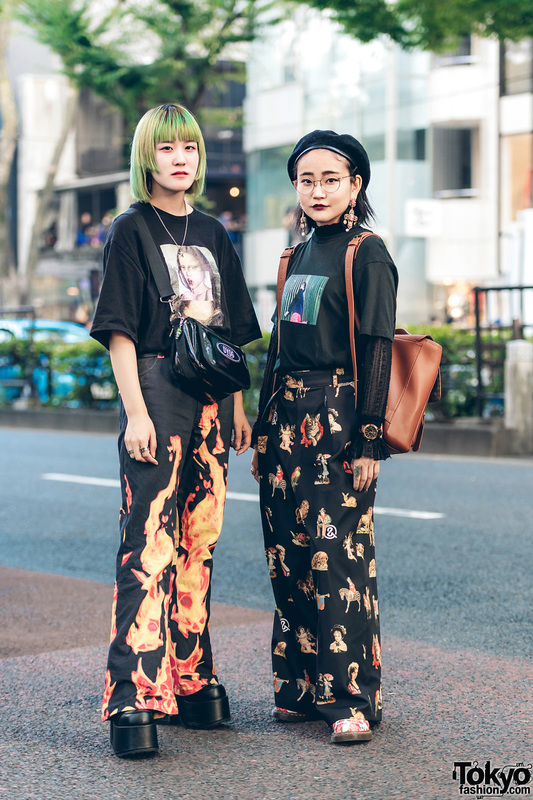 Harajuku girls sporting black streetwear styles with floral print tank top, horseshoe print shirt, mermaid skirt, pants and platform shoes. 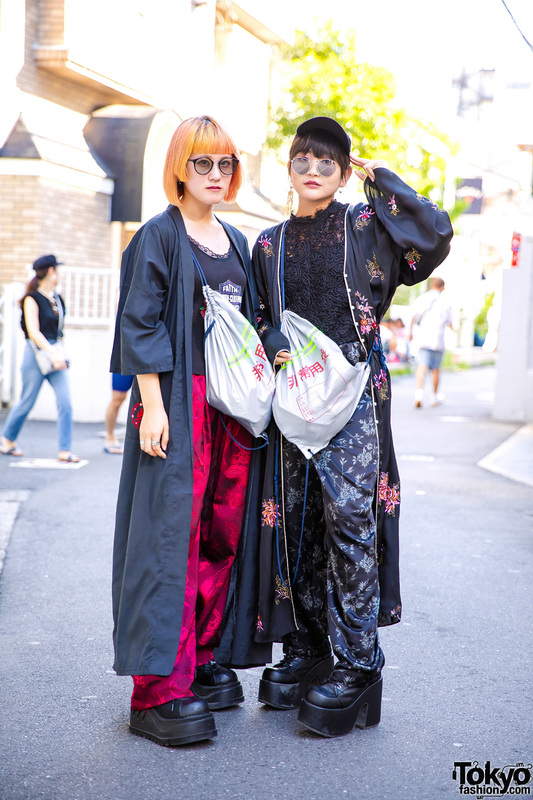 Harajuku duo sporting avant-garde handmade street styles w/ paint-splattered overalls, cropped top, floral kimono, layered tops and harem pants. Harajuku student wearing a remake Spiderman top, denim skirt, and platform sneakers.